Can you tell when someone is speaking to you who obviously has no clue (or interest) in who you are and what interests you? I have. And in the same way, I have overlooked this at times when I meet someone or make a presentation. To correct this, I will do any of the following to get to know someone or some audience better. – When introduced and after the name exchanges, I'll be sure my first question is about them to find out more about them. – If the person introduces us says something about them I didn't understand, I'll quickly follow up with “Tell me more about … (what they just said)”. When you first meet, demonstrating some empathy by mirroring their words, volume, manner of speaking, dialect (as appropriate) can raise the comfort level between you. Be genuine and don't go to any extremes that takes you away from your own comfort zone here. For example, I'm a 62 year old male with kids and grandchildren – establishing a report with a modern day rapper doesn't require me to speak rapper lingo and slouch! I just need to mirror more of the pace and show openness to listening. Speaking of openness to listening, one simple active listening skill is to use proper body language that says you want to hear more from them. Crossed arms and head back signals you are closed or skeptical. Active listening also requires you to be able to shut off all the other thoughts and concentrate on what they are saying. Don't be afraid to ask them to repeat something they said that is obviously important but you don't quite understand. Also, you may repeat back to them something they said just to help them know you hear them or just want more information about it. I continually have to say their name silently or to them to make it stick in my head. When I use their name appropriately in greeting or other comments, I reinforce to them I care and have interest in them as an individual. That will make the positive impression stick. I use “thank you” a lot when talking with someone because they have added value to me. Use their name and comment on what the conversation was about. “Thank you John for working in this store on the holiday”. Also, showing gratitude is something they may not encounter as much as you think – that will really make an impression! 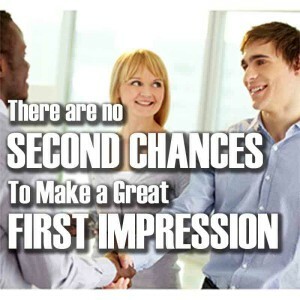 I've always heard it said that you never have a second chance to make a good first impression. 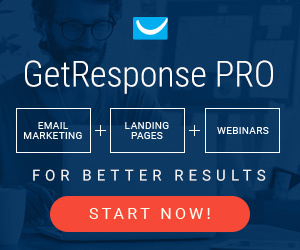 Hopefully these ideas help you connect and grow your business one good impression at a time! p.s. Since this is an online community- do you see some of the challenges in making a good first impression? 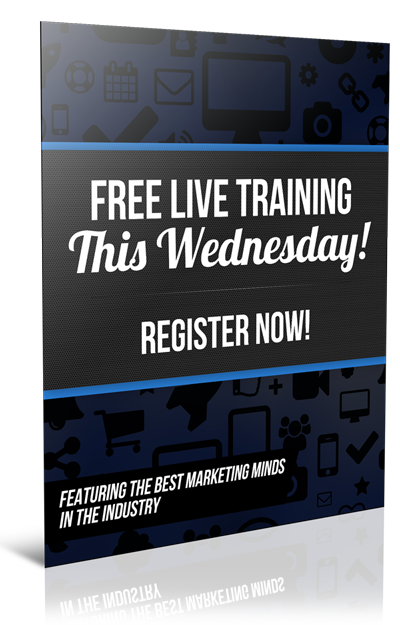 What are some of the things you have learned to help you make a good online first impression? Please share your ideas in the comments on this post. Thanks! Are You Feeling GREAT about being Self-Employed? Awesome post Roger! I see some NLP stuff here. Great! Everybody should take a look at this post! NLP? Sorry, at the risk of missing the obvious, I don’t recognize that in this context. Oh, I get it now. Had to Google it. NLP means Neuro Linguistic Programming. In other words, it is the way we communicate with ourselves. Neuro means “of the mind”. Linguistic is the study of language. Therefore NLP simply means that you can program the language of your mind. Thank you Alan, I appreciate the feedback. I love tip #5. That’s something I tend to forget. Thanks for the value! 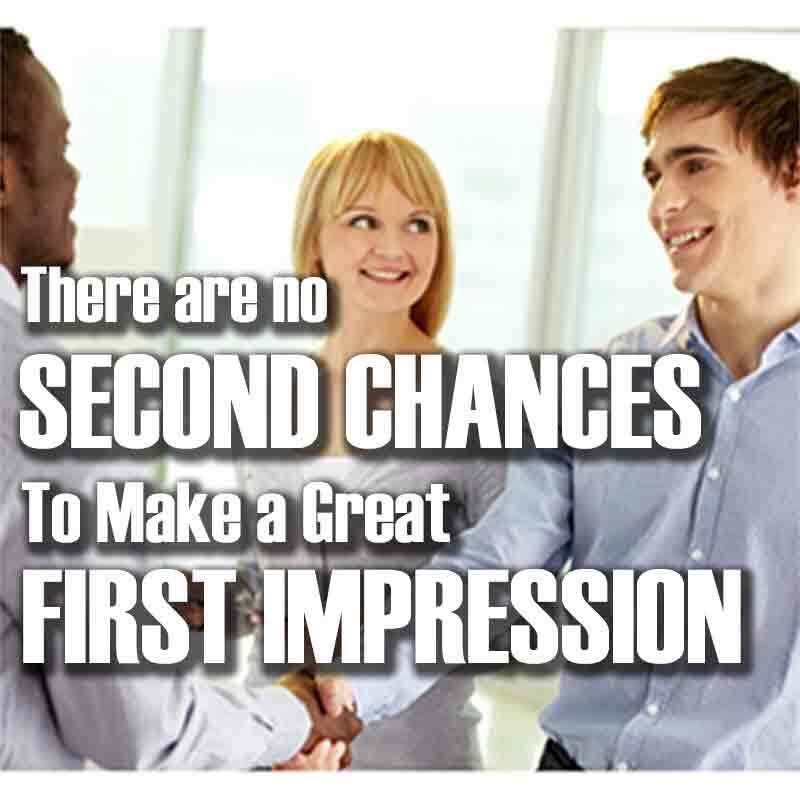 OUTSTANDING Tips for making a great first impression….Active Listening and Gratitude stood out for me in this post. Thank you. Active listening is always difficult for me too. btw – love your site and videos. These are great skills and tactics to use to build instant trust and rapport! Thanks! Awesome content Roger! 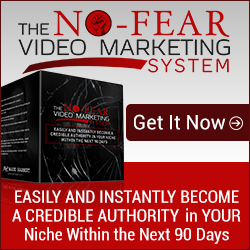 Lots of value here for all Entrepreneuers! Great post, and all 6 suggestions are great tools to add to the arsenal! Thanks for sharing! Great value here!! Holy smokes! !